Shhhh……Ladies, listen! 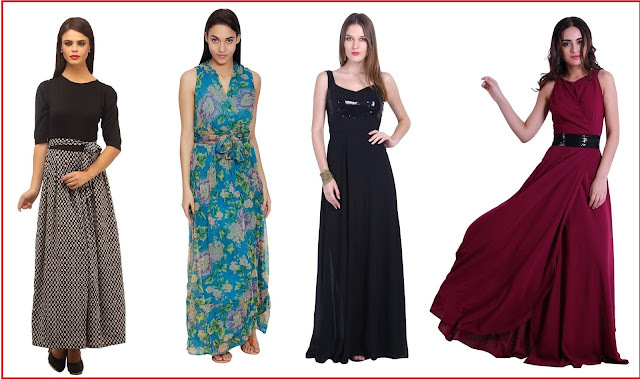 Are you bored with the same fashion of suits and sarees? Want to know some latest fashion of this season? Don’t worry, excelentcontent.com brings a helpful guide for you to spice things to flaunt your inner diva. Read this blog to find out the women’s latest trends and styles of 2017. Classic Tank Tops:- Want to push the limits and elevate your style even more? Then, classic tank top is what you should consider this season. This tops are the ones, which features a relaxed fit. No matter whether you are young, old, lean or curvy body type, this top is for any occasion that you look out for. Wear with anything and everything. Simple, classy and elegant! Black Dress:- One of the hottest trend of 2017 that has taken the fashion world to a next level is black dress. Yeah, Black dresses are back in style! Whether it is a kitty party, family get-together, or even a cocktail party, wearing a black dress will add a wow factor to your look and get you a stylish tag. Perfect for this summer season! Palazzo Pant:- Gone are the days of fitted jeans, it is time for the palazzo pants. When you tuck your palazzo pant inside or attach with Armani belt, it will grab the eyeballs of many. Without any doubt, this will make a fashion statement everywhere. You can team palazzo pant with plain kurtis, or any contrasting color top to give the pretty look. Go, get it! Joggers:- Are you looking for something that provide the freedom of movement? Then, you’ll probably be looking for a joggers. They are truly made for plus size women’s! The great thing about this women wears is, it is skin friendly as well. Buy joggers now! Ethnic Wear:- If the above mentioned styles are not working for you, then ethnic wear is the last option that can do the wonders. I would say this; ethnic wear is no longer Indian wear. They have been westernized! I know, the style is a bit old, but a large number of women’s prefer to wear ethnic wear just to create a simple and elegant look. Take a look! I believe that there is one thing that never goes out of fashion is none other than fashion itself! Trends come and go, but the one thing that never goes out of trend is style .I hope, this blog helped you in keeping you stylish and trendy. Ladies! Do follow all these latest trends of 2017 and remain in style! So, which one you like the most from the above-mentioned trends? Share with us in the comment section.